Hello Pop Culture Shockers! I’m back with another review and this one is for something that we can all use! The Famebird Makeup and Toiletry Bag. Believe it or not, not all toiletry bags are created equal and speaking from a lot of experience, this one’s just about perfect. 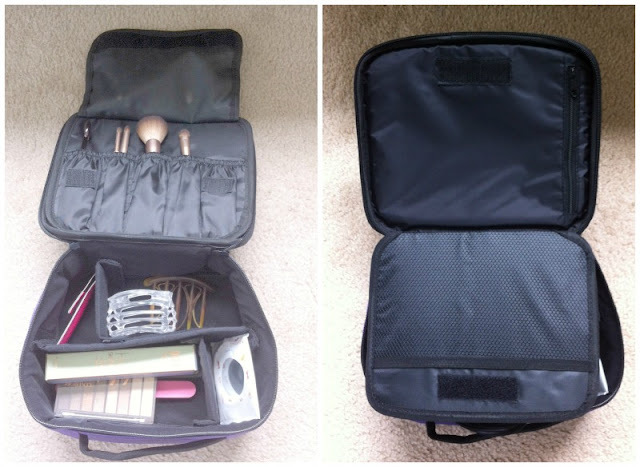 The Famebird Makeup Bag is attractive enough and has enough space for daily usage. I actually took all of my “every day” makeup products and put them in the Famebird for convenience. Did I mention that this bag has a durable frame? It actually has a frame so you know that it's sturdy and it can be stored upright. love it! It's made of nylon and that makes the bag super easy to clean. Another feature that I love.